Curcumin occurs naturally in the spice turmeric and gives it that characteristic yellow color. People have been using curcumin in ancient Ayurvedic medicine for over 1000 years due to its wide-ranging health benefits. Curcumin is also commonly used in curries and cooking throughout Asia. Unlike many modern medicines, the health benefits of curcumin are not tempered by problematic side-effects. Curcumin has low toxicity, and at worst, high doses have been known to cause stomach upsets. A recent long-term study has shown that a supplement of curcumin taken daily over 18 months improved cognition and recall ability in those over 50. It is thought that curcumin may work by breaking down the “gunk” that forms in the brain and which is thought to play a critical role in the development of Alzheimer’s. The supplements were also shown to affect the areas of the brain that regulate emotions and anxiety. There is some evidence to suggest lower rates of cancer in regions where people eat large daily doses of curcumin as part of their normal diet. It is thought that curcumin may be able to help prevent and even treat cancer by slowing down the growth and spread of cancerous cells; something that has been demonstrated in laboratory studies. It has also been suggested that it can help increase the efficacy of cancer treatments in part because it increases the bioavailability of chemotherapy drugs. This may prove to be a key health benefit of curcumin due to an increasing amount of evidence to support an “inflammation theory of disease”. The human body reacts to external stressors by becoming inflamed. This is a vital and natural immune response. However, chronic inflammation can lead to a variety of health problems. Many commonly occurring disorders including heart disease, Alzheimer’s, depression, and arthritis are now being linked to long-term inflammation. 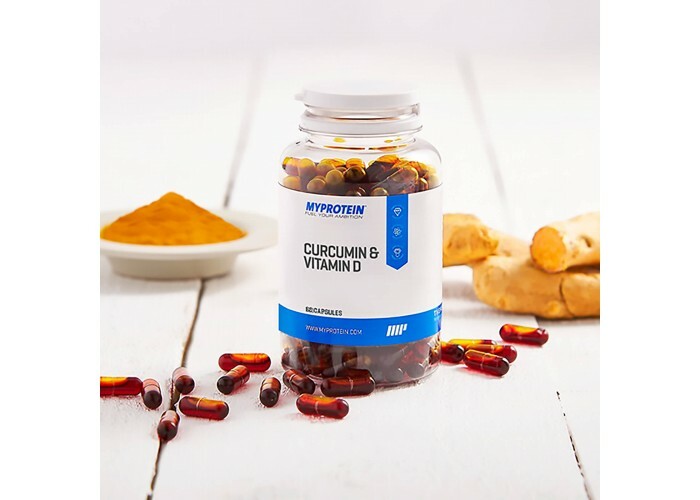 Curcumin has been proven to act at a molecular level to block the chemical signals that cause this inflammation and has been shown in a number of studies to reduce inflammatory “markers” found in the body. Antioxidants are important to the body as they act against the naturally occurring process of oxidation caused by free-radicals. Free-radicals are unstable atoms that cause other atoms also to become unstable therefore damaging the body’s DNA and cells. This process of oxidation has been linked to the aging process, cancer, and the onset of cardiovascular disease among other health problems. This means that only a very small amount will be available for your body to use after it has been ingested. Curcumin also doesn’t dissolve well in water and gets metabolized (repurposed by the body) quickly. This means that you would need to eat a lot of curcumin in your dinner to see the health benefits. So that many more people can experience the health benefits of curcumin, manufacturers are looking to develop ways of overcoming these obstacles and therefore produce pharma-grade curcumin. Methods include combining curcumin with other molecules to create, for example, cyclodextrin curcumin formulations. These formulations increase bioavailability. Products such as Volt03 utilize this method. Other approaches include coating the curcumin in a layer of fat or using synthetic curcumins known as “analogs”.